If you’re looking for the perfect reclaimed wood beam to compliment your home or business, you’ve come to the right place. Our reclaimed wood beams and timbers all range in different sizes, lengths, and styles to compliment your unique project. 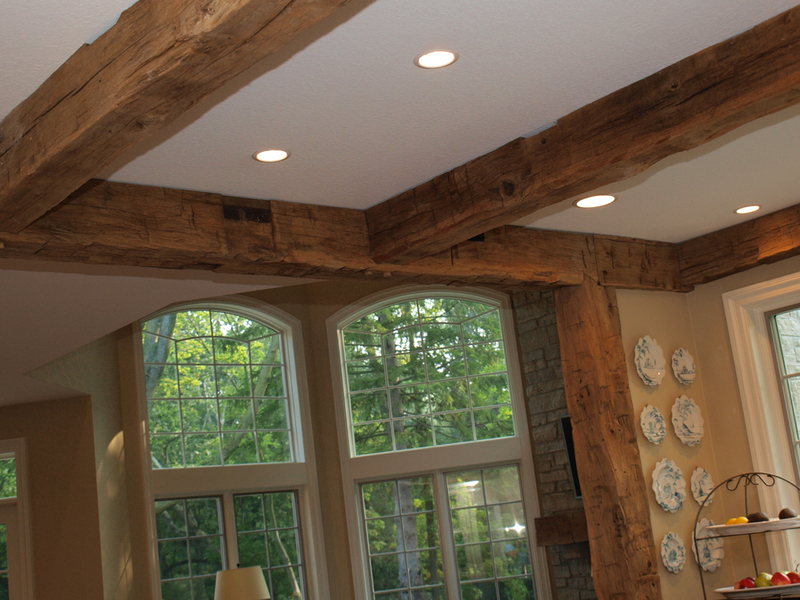 This includes our popular hand hewn beams, circular-sawn beams, resawn beams, as well as our hand hewn hollow-out beams. Every beam design and style carries its own unique story and characteristics. We scour the countryside and continuously work to salvage the most unique lumber we can find, surpassing industry quality standards, and strive to carry a unique assortment of lumber in our inventory. We personally and carefully dismantle each antique structure in order to preserve the beauty and integrity of each beam we salvage, and maintain the highest quality inventory. We encourage you to take a look at the materials we have to offer. If you have any questions, we encourage you to contact us and discuss the details of your project! 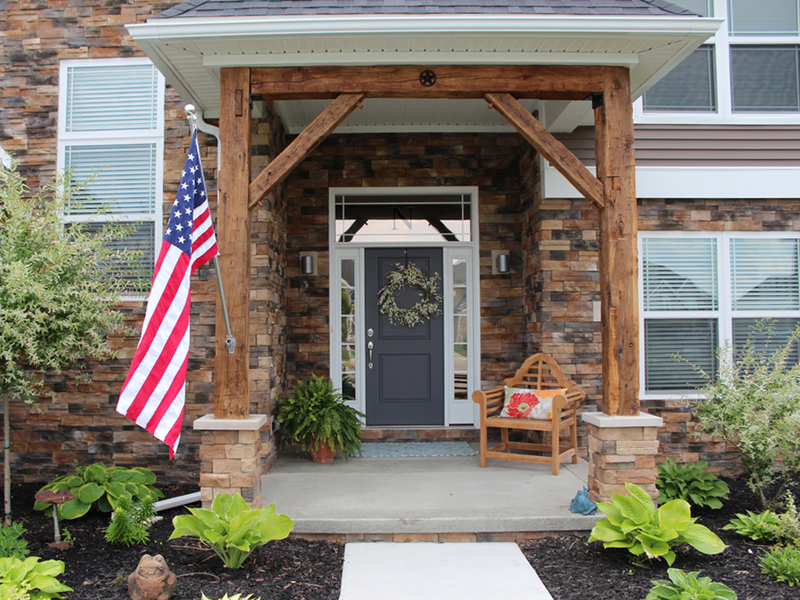 We hold a large inventory of hand hewn beams in all different shapes and sizes. Sizes range from 5x5’s through 14x14’s in a variety of species including White Oak, Ash, Elm, Hickory, and Maple. We are equipped to handle antique beam packages ranging from just a single, to a few hundred individual hand hewn beams. We can custom cut, prep, and clean to fit most applications and have them ready to be installed in your home or business. Appearances available range from rustic heavy adz marks, to very refined hewn beams that were hand planed back in the day. Antique circle sawn wood beams carry the rich character of the past, but include a refined “circle-sawn” edge. A circular cut was made to create and size the beams, rather than a hewn or axe cut, creating a much cleaner but historic look after all of these years. Due to the character and history with all of our beams, circle sawn beams will all vary from barn to barn depending on the specific species used at the time. The surface of our circle sawn beams will range from a light brown patina to a dark brown patina, and range in a variety of species including White Oak, Ash, Elm, Hickory, and Maple. 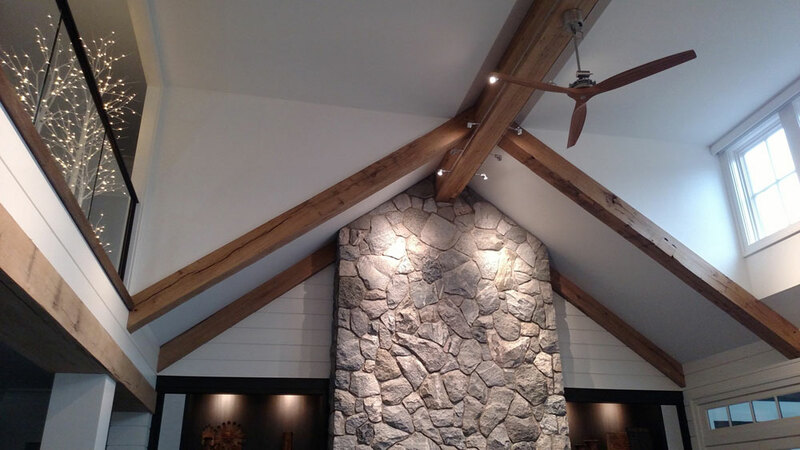 If you’re looking for a clean beam but still want the reclaimed aspect, resawn beams are perfect for you. 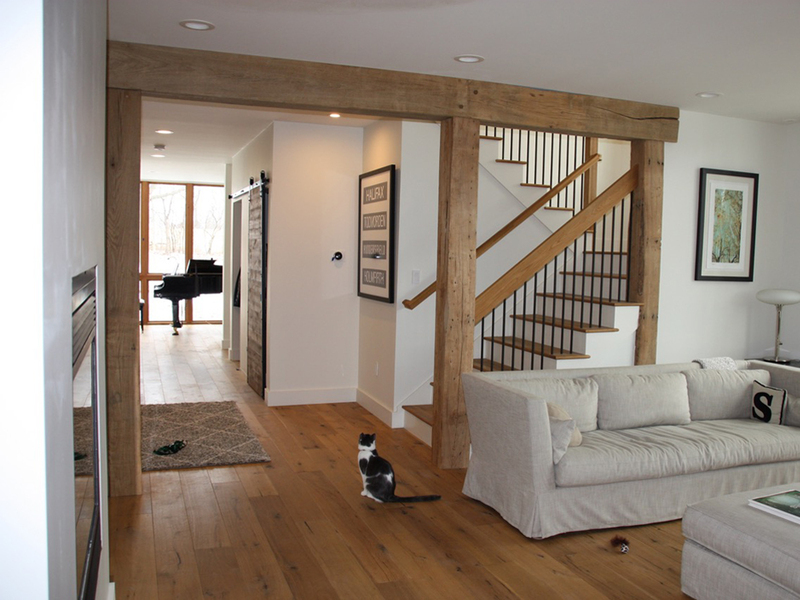 We create our clean cut resawn beams by milling them from our hand hewn or circular sawn beams. We mill them by running them through our band saw to shave the top or the “old” side from the beam, and then we plane them and run them through a series of passes to ensure the beam is smooth and level, while still maintaining a perfect amount of age with your new beam. Often in new construction and remodels, you will have an ugly LVL or I-beam running right through the most visible areas of your living space. These structural members need to be covered up in one way or another. Depending on the size of the member, we will hollow out or “canoe” an antique beam to fit over it. Once done, it is impossible to tell that the structural element is not an authentic solid antique beam. Provide us with the dimensions on what you need to cover and we will let you know what we can do to cover it up!